Congratulations to Erin F. and Samgirl, the winners in Kylie's giveaway. Thank you to all who participated! For me, bringing a story to life begins with the setting. When I place a book in a unique place, that brings to mind an immediate mood and visual image, the setting almost becomes a character in the book. And when I can visit the spot in question and do my own research of it, the scenes really come to life. Such is the case with my newest release, WHAT THE DEAD KNOW, the eighth Mindhunters novel. Last summer I planned a trip to Michigan’s Upper Peninsula because my book was going to be placed there. To lure my husband into driving me ten hours J, we first went to Mackinaw Island at the northern most tip of the UP. After spending three days there, we took two days coming home, because I wanted to mosey through the counties to get a feel for the scenery and towns. At that point I hadn’t decided which county my story would be set in, so we went up the eastern side of the peninsula and returned through the western side. I was blown away by how clear the Great Lakes were. (Michigan and Superior.) You could ride bikes along the shore and clearly see the bottom. I love forests, and the UP is covered with them, with the Hiawatha Forest (the setting for some of the scenes in the book) being the vastest. There are several wilderness areas on the UP. I’m always thrilled to discover places that are relatively untouched by humans. Several Native American tribes have a presence in the counties, and we visited one village located within a reservation. These details and more are included in the book. Of course, in my story the forest houses a killer that uses the isolated areas to hunt his victims. 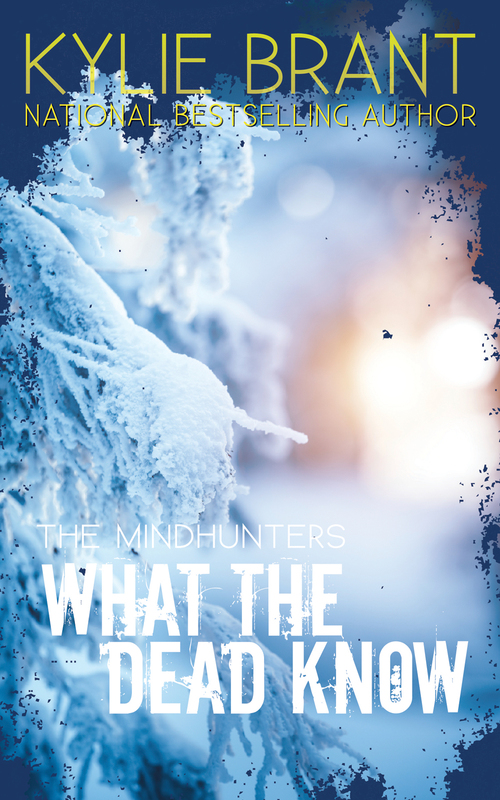 Sheriff Keira Saxon teams up with Mindhunters agent Finn Carstens to track down the madman, who in turn makes them his next target. The book released right after Christmas, so in the spirit of the holidays, we’ll have a giveaway. Two winners will be selected from commenters telling me about the best present they’ve ever received. When Keira Saxon’s father was diagnosed with a life-threatening illness, she quit her job as a Chicago homicide detective to head home. But she hadn’t been back on Michigan’s Upper Peninsula long before Danny Saxon was dead, killed in a deadly bear attack. Keira bowed to public pressure and agreed to run in the special election to fill the rest of her father’s term as sheriff. Although doubts about the circumstances of Danny's death lingered, doubts were all she had. Until she received a grisly delivery and learned that her father’s death wasn’t an accident at all. Finn Carstens agrees to partner with Keira’s department to solve the murder. When proof of a second victim comes to light, he realizes that the killer is engaging them in the deadliest of contests. Together they must unmask a man who lives—and kills—in the shadows. As they begin to discover his secrets they realize the chilling truth that only the killer's former victims knew: of all the predators lurking in the Michigan forests, man is the most lethal of all. Giveaway ends 11:59pm EST Dec. 27th. Please supply your email in the post. You may use spaces or full text for security. (ex. jsmith at gmail dot com) If you do not wish to supply your email, or have trouble posting, please email maureen@justromanticsuspense.com with a subject title of JRS GIVEAWAY to be entered in the current giveaway. My kindle fire!! I got it a few years ago and it goes every where with me! It's a tie between it and my cell phone as to what I need with me at all times :) thanks for sharing and congrats on the new release! Anything that enhances our reading experience is definitely on the best gift list! My favorite gift is the diamond anniversary ring I got from my husband for our 30th anniversary. vandine 3 at msn.com. The new book sounds great! I have a weakness for jewelry, myself ;) Kudos to your husband! Wow. I'm always impressed by crafty people! I know it sounds corny but the best gift I ever got was watching my kids squeal with delight when they open presents from Santa that they really wanted. I'm happiest when they are! I love how you and your husband "saw" different things. The best present - a Santa hat that my 5 year old son bought many years ago. This hat comes out each Christmas for a wearing. Mary, that's not unusual for my husband and me, LOL :) Love the Christmas hat story! This year I got a storycrafttraining course! My engagement ring 30 years ago. Aww, Laura, that is special! And thirty years these days is quite an accomplishment! My daughter 17 years ago in December, My Christmas miracle for sure and we spent her first Christmas in the hospital. Tammy, I had twins on the 23rd a while back and yes, that's a very special Christmas present! The best present I ever received was my dog, when she was a puppy. Her name is Ashley and I love her so much.